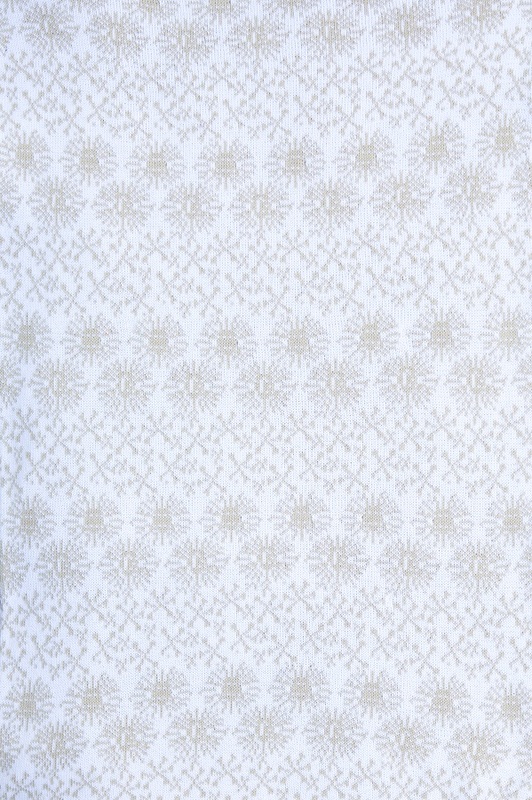 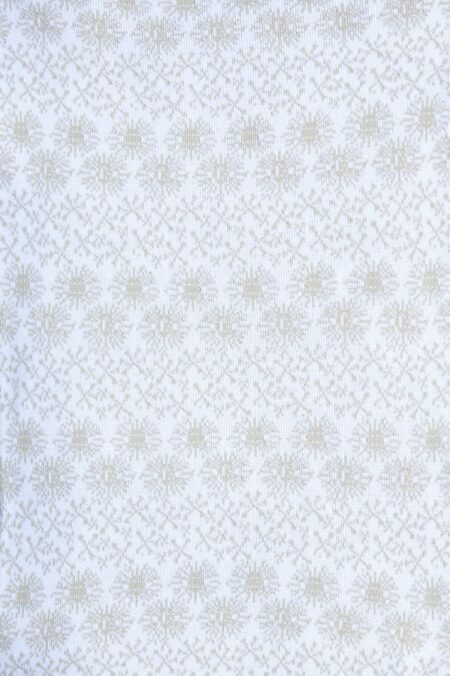 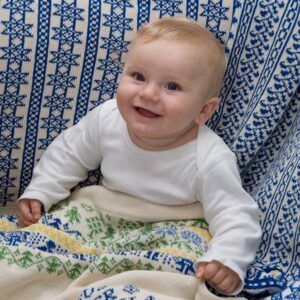 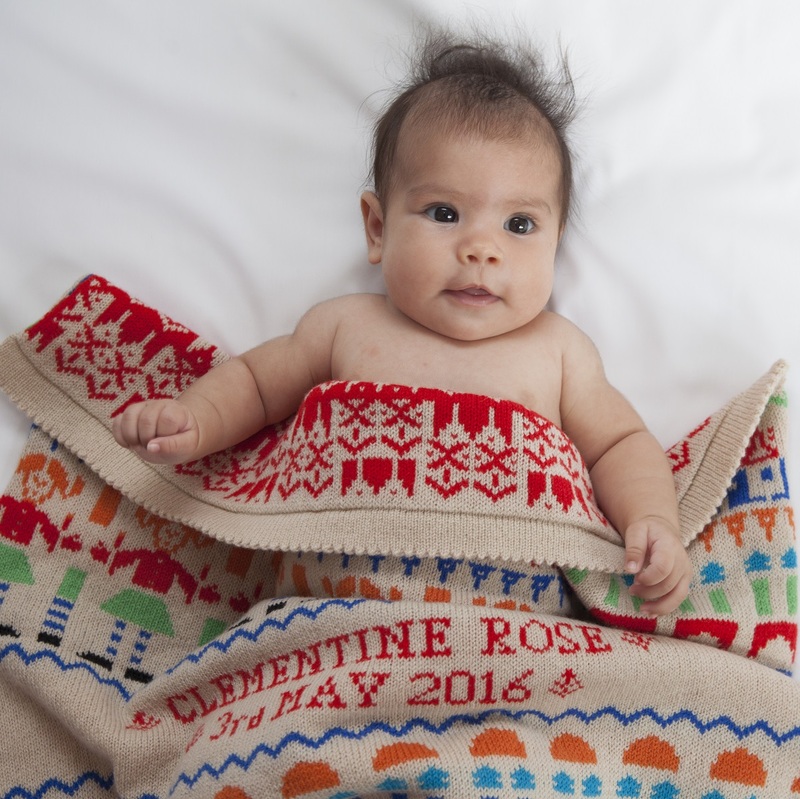 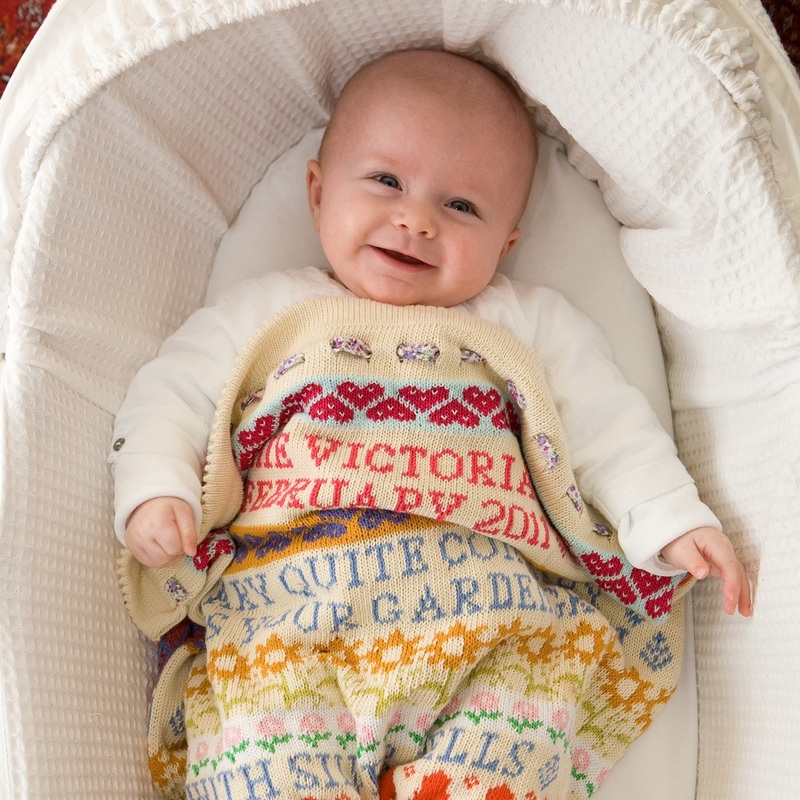 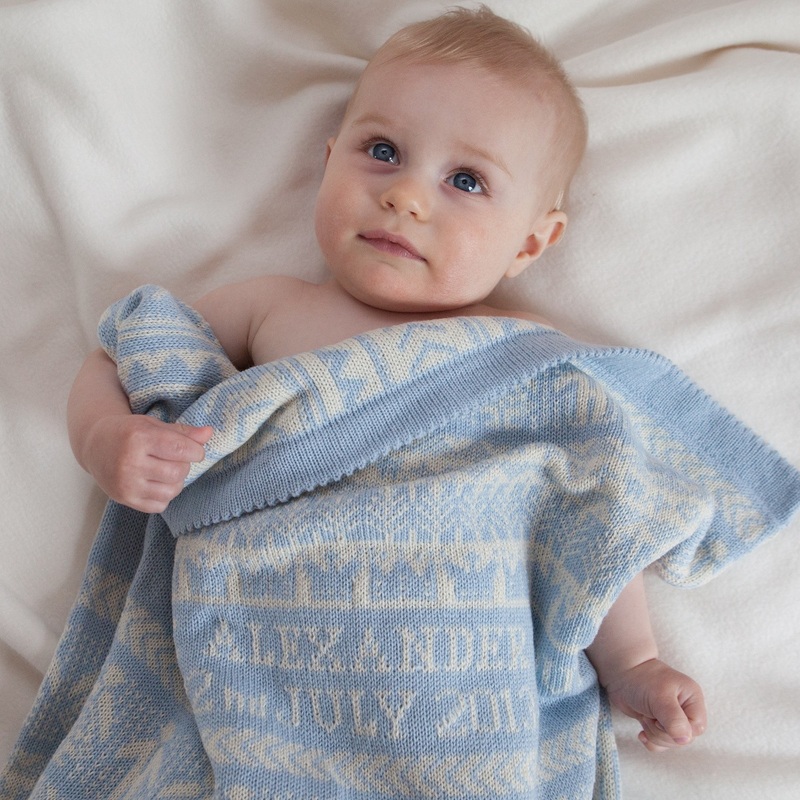 The Craxton baby blanket features organic shapes inspired by wild flowers. 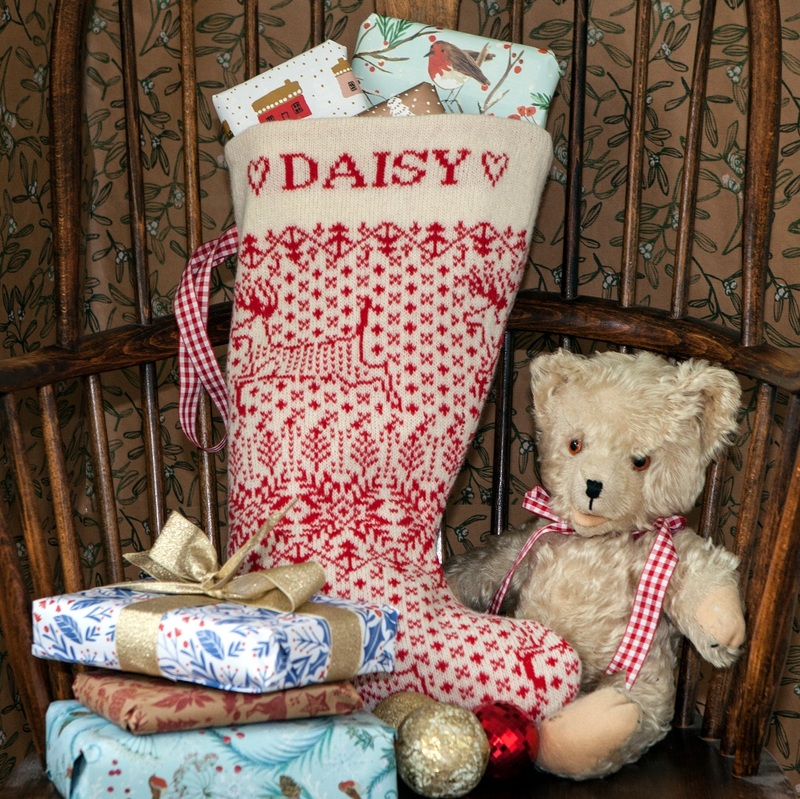 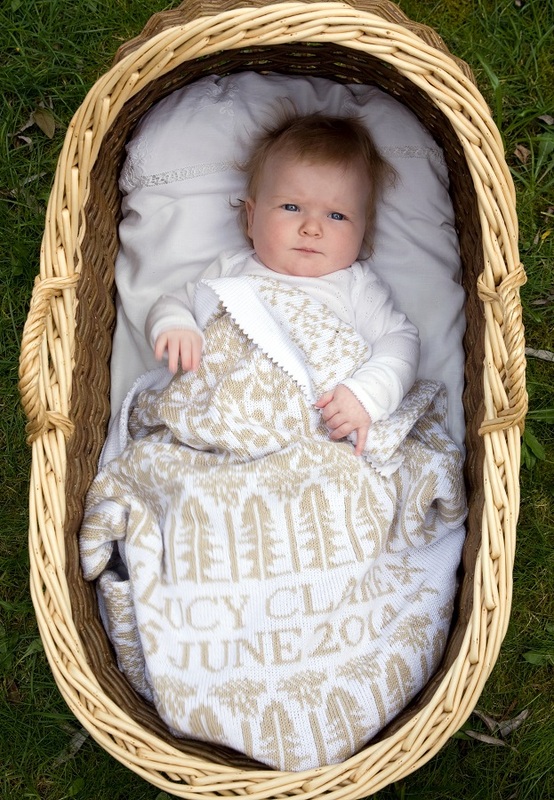 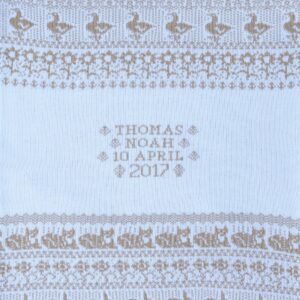 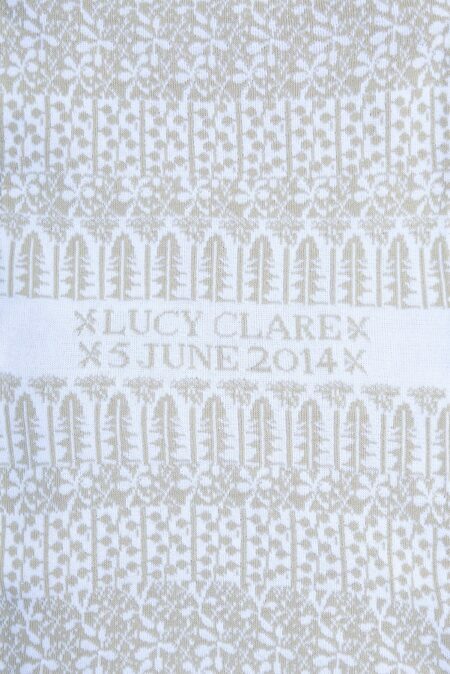 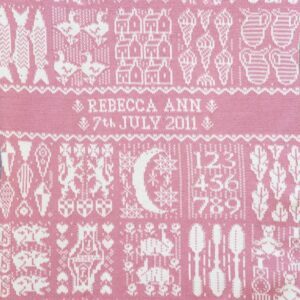 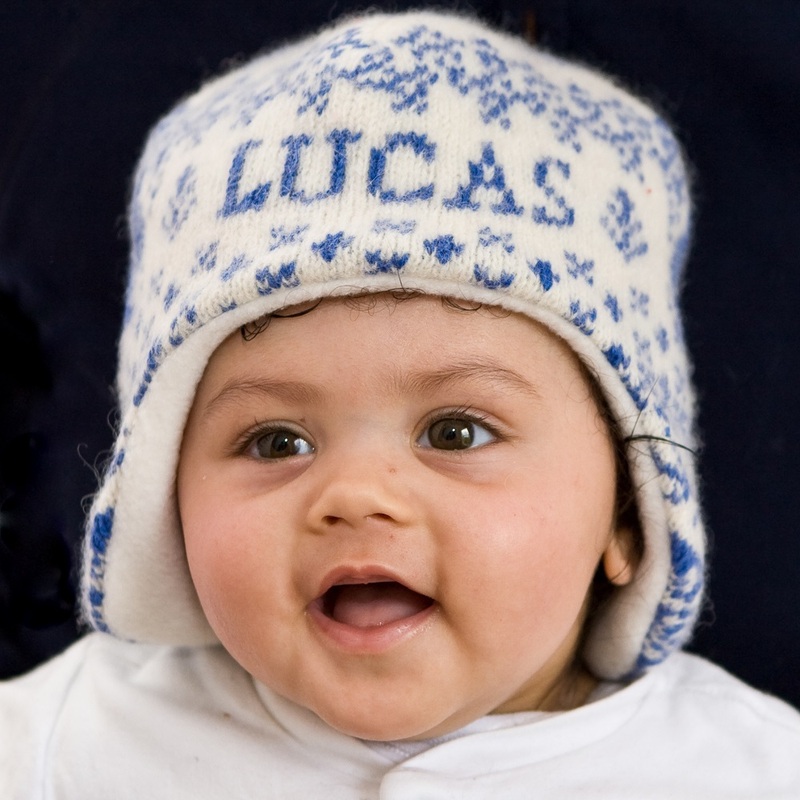 Each blanket is individually made and personalised, with baby’s name and date of birth. 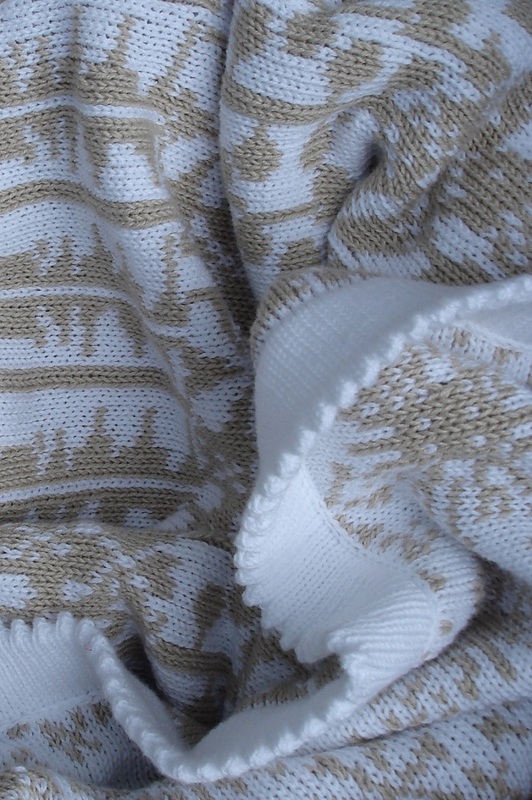 The Craxton FOSSIL blanket is knitted in white and taupe.